We are a family owned company with deep roots in the community of Monogalia County. Providing safe, secure storage with easy access from Rt. 119, we are committed to our customers and their satisfaction. If you have any questions or need more information, call or email us and we will be happy to answer your questions. We offer enclosed units only, with full on-site surveillance and we allow 24 hour access 7 days a week. We are conveniently located on Rt. 119 between Morgantown and Grafton. 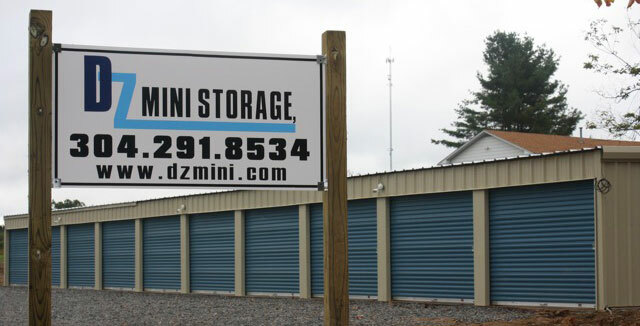 Look for our DZ Mini Storage sign on the side of Rt. 119 near Carl Zinn Road.